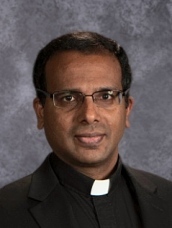 It is my honor to be part of the St. Francis of Assisi School as the pastor of St. Francis Church. 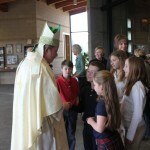 St. Francis Catholic School in Bend, started by the Sisters of Holy Names in 1936, is dedicated to exploring and developing the unique gifts and talents that God has blessed each child with. Our mission is to foster in every student a lifetime of learning with an expectation of excellence. We attend to the all-round development of the children. We are proud to be a Catholic School that gives great importance to installing the gospel values in every child. We believe that every child in our school is sent by God and accompanied by Blessed Mother Mary, the seat of wisdom. The students at St. Francis have the opportunity to begin their day with morning prayer, attend Mass, Eucharistic adoration, go to confession, read and learn the Sacred Scriptures and get acquainted with the lives of saints. They grow up learning their faith, loving God, the Church and their community. Students of all faiths are welcome and honored in our school. When it comes to academics we hold our students to high standards offering a rigorous curriculum. Our test scores far exceed expectations and that of local schools. A major focus of our school is science and engineering. We provide the highest level technology available in the classroom. Our students are also involved in a number of community service projects. We keep our classes small to give maximum attention to each individual student. Our students do not get lost in the crowd. Every child is important to us. 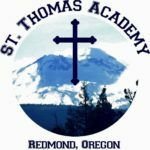 If you live in Bend and are considering a school for your children or grandchildren St. Francis would be the one best suited for the physical, spiritual, emotional and intellectual development of your children. Experience in providing high-quality education for the past 80 years sets us apart from the rest of the schools in the area. God bless you.